Just when I thought things couldn’t get any worse for Qantas. Their brand took a further nose dive today (excuse the pun). They had a go at relaunching their battered reputation though starting a competition on Twitter on the day after their negotiations broke down with their airline pilots. There are some who would say all publicity is good publicity. But I don’t agree. It shows that there is a massive lack of understanding from Qantas about the negative sentiment from the general public (their customers) towards the brand at the moment. The general public is really hurt by the actions of a brand they know and love. A brand they consider part of their national identity. It’s another nail in the brand’s coffin. 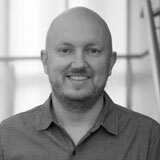 According to James Griffin quoted in The Age Newspaper by about 1pm, Australians were sending out 51 tweets a minute on the hashtag. 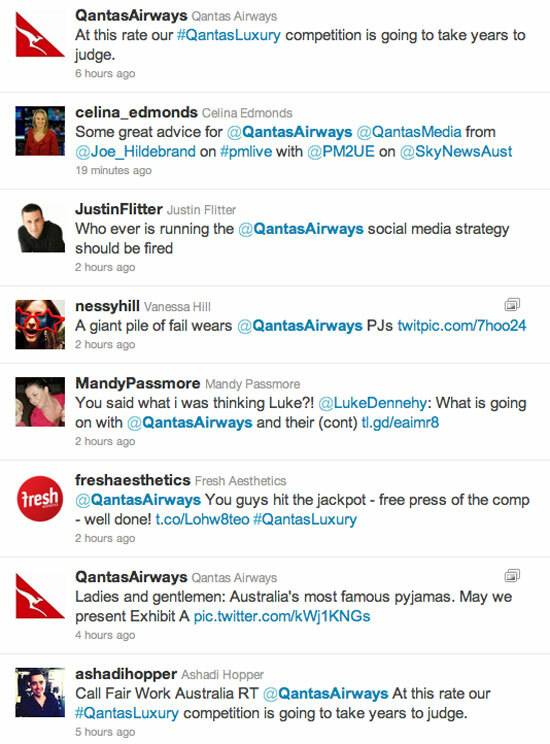 Most of these were tweets making fun of the idea of #qantasluxury. The lines of communication between Qantas marketing and Qantas management don’t seem to be open. Qantas management knowing that they were going to reject the union’s negotiation offer yesterday should have cancelled any marketing activity way before today. Timing in marketing is everything and when running a marketing promotion in an environment that opens you up to negative remarks because of your brand’s insensitivity in its timing is beyond belief and a rookie mistake. Qantas needs to regain the public’s trust with the brand. It needs to connect again on a community level. It needs to follow the example of Australian miners and start connecting their brand with corporate social responsibility initiatives. Your turn. What do you think Qantas should do? Great breakdown of the event, however I am still not convinced that this has been a complete disaster for Qantas. Yes, it may damage the Brand with some witty puns and a few snide remarks on Twitter (which most people outside of social media pay little attention to). The upside is mainstream media has picked up this story and are focusing on the “social media meltdown” rather than the labor negotiations breaking down yet again. Bad timing ? or a diversion tactic?